Your blog is your most important owned property on the internet. If you want your content to make an impact, follow these best practices to make sure it's optimized for maximum results. According to a BrightEdge Technologies study, blogs with social media sharing buttons generate 7X more mentions than those don't. So make sure you place social sharing button prominently at the beginning of each blog post. Include counters on these buttons to encourage other to share (and help track your social proof). Feature platforms that are most relevant to your audience. Similarly. including images increases shareability and engagement up to 64 percent (according to OKDork/BuzzSumo). So add beautiful visual content in your posts. 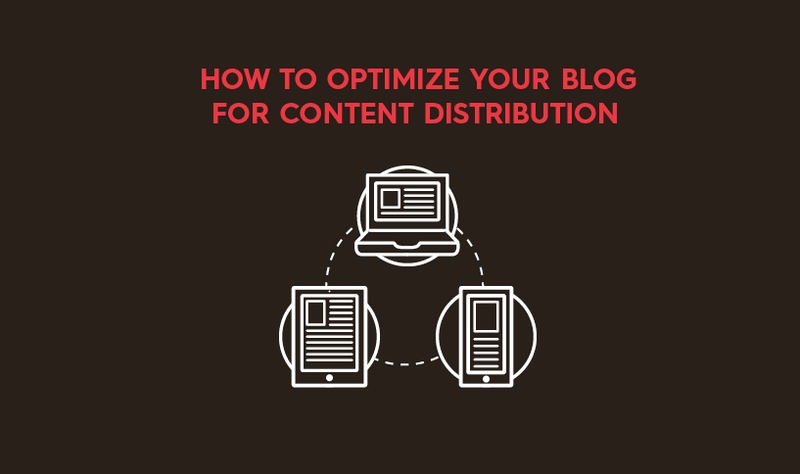 Take a look at this infographic from onboardly that proposes 5 tips on how to optimize your blog or website for content distribution.